Lindsay Stenovec, MS, RD/RDN, CLEC is a passionate Registered Dietitian Nutritionist in San Diego providing individual nutrition counseling and nutrition workshops to women and families. 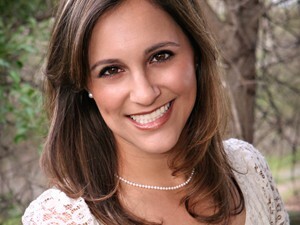 She owns Nutrition Instincts™, a private practice specializing in eating disorders, prenatal nutrition and child feeding. She is also a Nutrition Consultant for Alpha Kappa Alpha Head Start and is an Adjunct Faculty Professor at San Diego Mesa College. When working with families, a focus of Lindsay’s is supporting mothers in their quest for nourishing themselves and their children in a way that fosters a healthy relationship with food, positive body image and healthy eating for the entire family. Lindsay received her Bachelor’s degree in Nutrition from Cal Poly, San Luis Obispo, her Master’s in Nutrition Science from San Diego State University, and completed her dietetic internship with California State University, Long Beach. In 2013, she was awarded Recognized Young Dietitian of the Year by the Academy of Nutrition and Dietetics for her dedication and leadership in the field of nutrition. You’ve heard the phrase “eating for two”. So if you’re pregnant with twins should you be eating for three? What type of nutrition does your body really need to foster a healthy twin pregnancy? Plus, what type of foods should you try to avoid. 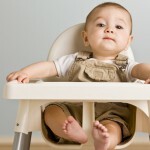 You probably know a young child with a food allergy- perhaps that child is even your own. What exactly is a food allergy and how does it differ from an intolerance or sensitivity? What symptoms and signs should new parents look for in their children? Plus, we’ll break down the top 8 most common food allergy culprits causing most of the fuss. The problem of childhood obesity in the United States has grown considerably in recent years. How do you determine if your child has a problem with obesity? What typically causes it and what can parents do about it?